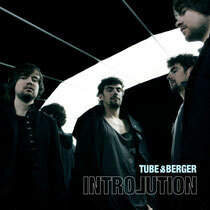 German DJ and production duo Tube & Berger are set to release their long awaited debut album ‘Introlution’, mixing acoustic chords with electronic beats to create an organic and well crafted listen. Tube and Berger, also known as Arndt Roerig and Marko Vidovic, set out to give electronic music an organic and “live character” and that is exactly what they have done with their debut album. Using acoustic instruments and vintage hardware, they create a warm rich sound that resonates throughout the long player. Never losing their original punk rock attitude to life and music (they started out in a punk band age 15), Tube & Berger have been touring and giggijng for the best part of a decade. They grew up in Solingen in the North West of Germany, an area which has produced a wealth of D talent of the highest caliber including Marc Romboy, Robert Babizc and Timo Maas. Their first big break came with their first release, ‘Straight Ahead’, featuring new wave legend Chrissie Hynde which steadily climbed straight to the top of the US Billboard Dance Radio Charts and The UK Buzz charts. 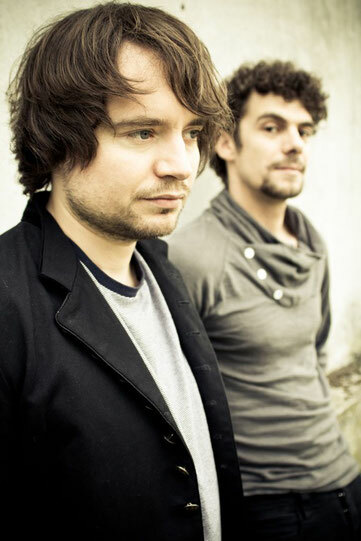 Now they are touring internationally and performing at some of the world’s best clubs including Cocoon in Frankfurt, Sankey’s in Manchester and Club A in Sao Paulo. They also have their own tech and deep house imprint, Kittball Records, which they use as an outlet to put out a steady stream of their own dance tracks. 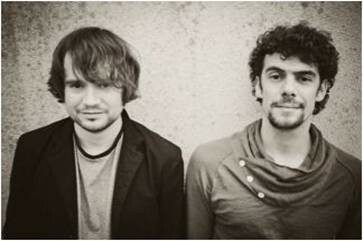 Now Kitball Records is ready to release Tube & Berger’s debut album. ‘Introlution’ is a sophisticated and well-constructed body of work displaying an innate ability to convey mood, great vocals and plenty of emotion. This is more than just a collection of club tracks, designed to transfer to a variety of settings. Highlights from the album include ‘Soulgood’, a sublime deep house groover which would fit into any Jamie Jones or Luciano set perfectly. It was also the most charted track in the March Beatport charts plus it is on video rotation on MTV Europe. The duo also collaborated with Chicago house legend Robert Owens on the track ‘Slipknot’, giving it a stripped back Balearic and retro feel as his unique and haunting voice blends with beautiful rushing piano riffs and old school drums. Elsewhere, Kitball Records co-owner and DJ Juliet Sikora comes into the mix with ‘Jam-Word-Up’, a glichy, jacking and bumpy house track which immediately catches your attention. It’s out 25th July. I pay a visit daily some web pages and information sites to read articles or reviews, but this blog provides quality based writing.